12" Overall with a 7.5" sharpened, hand forged, Damascus steel blade. Full tang with brass bolsters and genuine polished horn handle scales. Complete with high quality leather sheath. 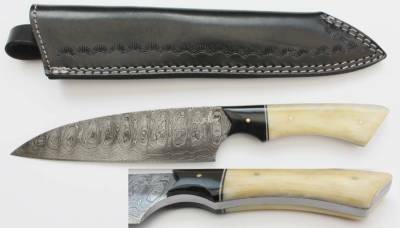 Entirely hand crafted, high quality custom made kitchen knife, superb.